Umbria has long loomed in the shadow of neighboring Tuscany but visits to Assisi and Perugia in the Umbria episode of Dream of Italy introduce the viewers to the rich treasures of this region. 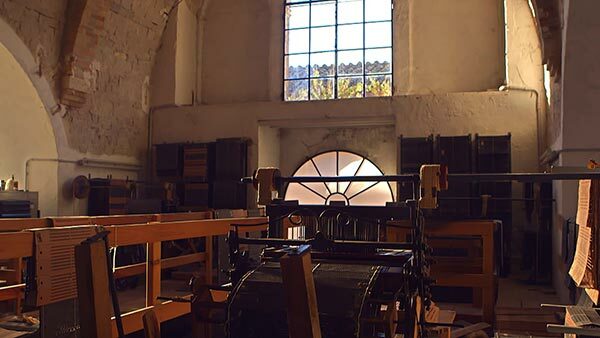 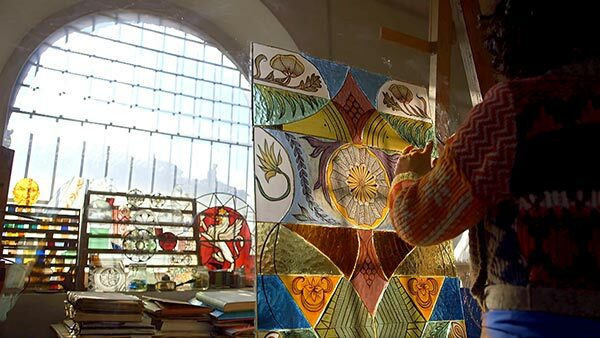 In Perugia, we meet two women carrying on their family traditions — Maddalena Forenza creating stained glass and Marta Cucchia and her handmade textiles. Just outside Perugia, at the Perugina Chocolate School, chocolate maestro Massimiliano Guidubaldi teaches host Kathy McCabe to make the famous Baci candy. 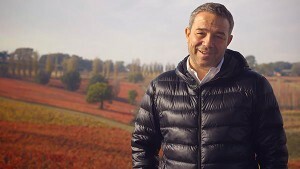 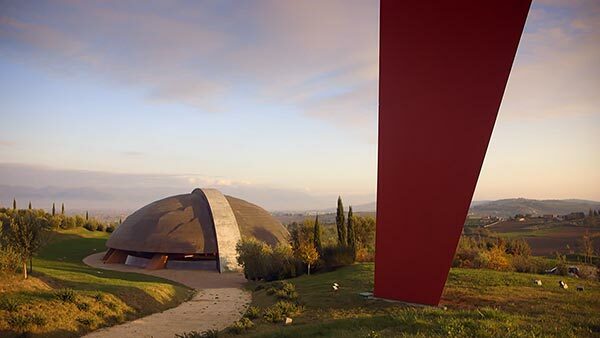 Then it is into the countryside around Montefalco to visit the ultra-modern winery Tenuta Castelbuono and learn about the local Sagrantino grape with Marco Caprai at the Arnaldo Caprai vineyard. 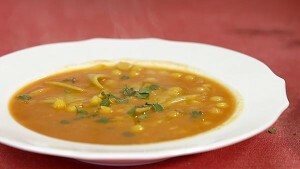 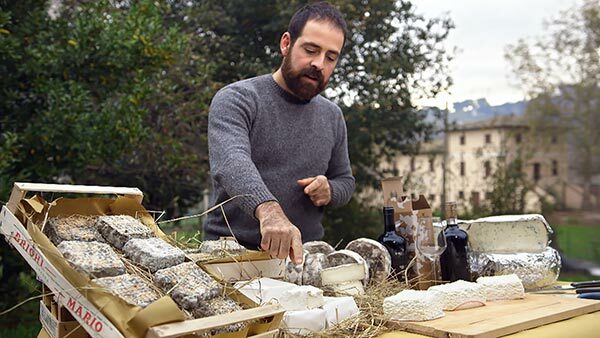 Kathy enjoys a cooking lesson with Chef Salvatore Denaro. We are then off to a goat cheese farm to meet Diego Calcabrina and his goats and then it is time to harvest precious saffron and forage for greens with Marta Giampiccolo. 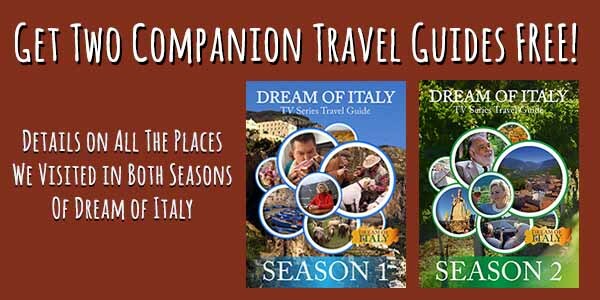 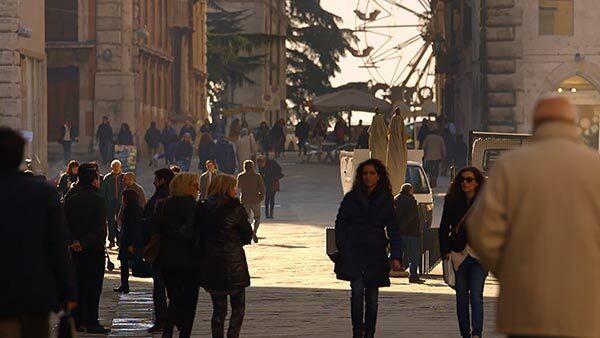 Get all of the details on our Umbria episode and how you can recreate our experiences in Italy on your next trip in our FREE Dream of Italy TV Series Travel Guide! 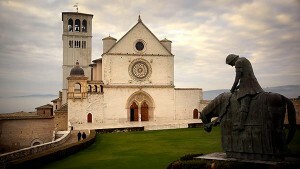 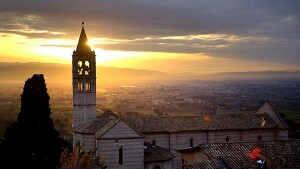 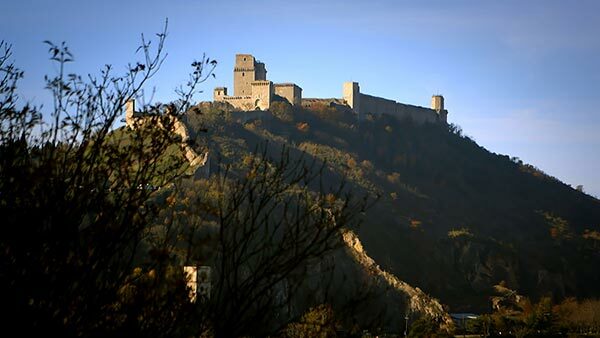 Visit the enchanting towns of Assisi and Perugia. 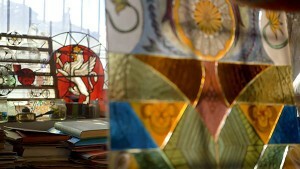 Watch the time-honored art of making stained glass. 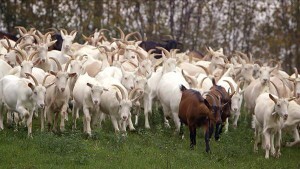 Travel a goat farm and watch their milk transformed into delicious cheese! 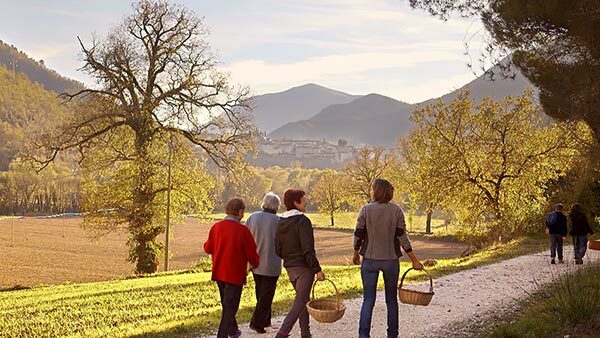 Learn how to make world-famous Baci candy at the Perugina Chocolate School. 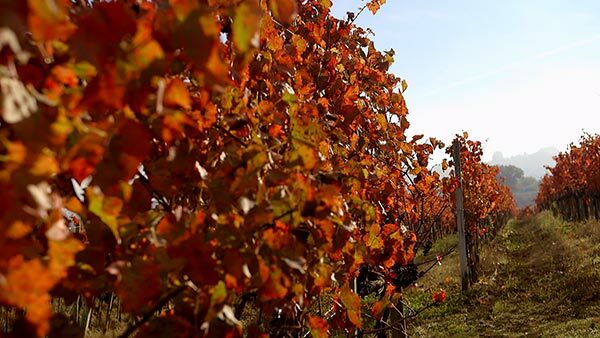 Taste the region’s Sagrantino vintage and visit two very distinctive wineries growing this local grape that has taken the world by storm. Cook with the one-and-only Salvatore Denaro – you will laugh even more than you eat! 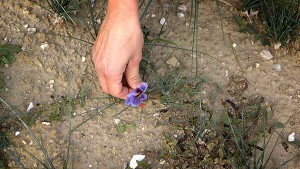 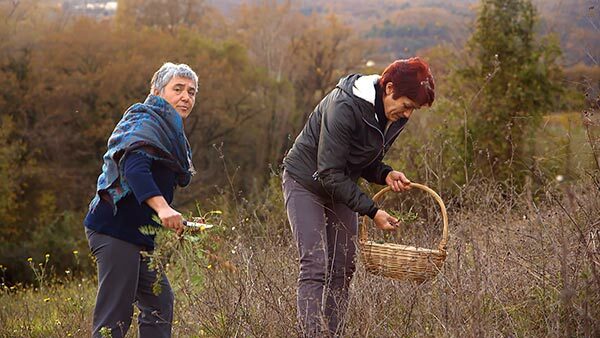 Forage for wild greens and learn about saffron production from local women. 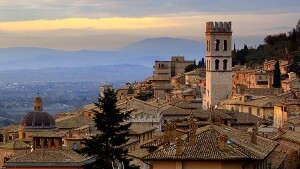 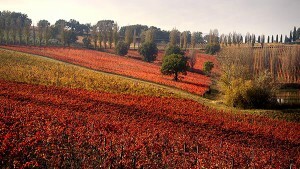 Experience much more of Umbria!